Throughout TfL’s recent trials and tribulations, there seemed to be one major project that remained on schedule. It was also largely on budget, but facing ‘cost pressures’. Unlike just about every other substantial TfL project, things seemed to be going well with all aspects of the Bank Station Upgrade. Until now. It is time to look at some of the non-financial consequences of delays to Crossrail. This means that, once again, we must look at plans for the Northern line. We also need to consider various issues affecting the Central line. Finally, we need to revisit the plan to lengthen platforms at Liverpool Street station in the light of further updates as to the current state of Crossrail. It came as a bit of a shock to read in the February 2019 edition of ‘Underground News’, the magazine of the London Underground Railway Society (LURS), that the temporary closure of the Bank section of the Northern line had been put back by over a year to May 2021. This closure is an essential part of the Bank Station Upgrade plan and, until it has taken place, new passageways cannot be brought into public use in order to relieve overcrowding. The revised date given is at variance with the project page on the TfL website which still quotes April – August 2020 as the planned period of closure. It is true that that the completion date for the station upgrade project as a whole has not recently changed and is still set for 2022 (although until about a year ago that date was 2021). Nevertheless, the closure date is highly significant because most of the benefits of the scheme cannot occur until after the closure. With so much inside information available to various members of the LURS, it is highly unlikely they have got something like this wrong. Some of what they have reported in the past may well not turn out to be what subsequently happens but their reports are unlikely to be at variance with TfL’s current thinking on their own (TfL’s) plans. What is more, when examined in more detail, it appears to have that essential ‘ring of truth’ that convinces us they have got their facts right. Meanwhile, in what might at first sight seem to be unrelated news, Mark Wild, the new CEO of Crossrail, told TfL board members in public session at the end of January that there was no realistic prospect of Crossrail opening in 2019. This logically means that the absolute earliest that Crossrail can open is January 2020 (and probably nobody now believes even that could happen). Our best guess at the planned service during Bank Closure. Just three months after January 2020, the Bank central section of the Northern line was due to have completely closed for 40 days. This would have meant that passengers from Northern line stations from Kennington to Morden and (to a lesser extent) from Camden Town and stations to the north of there who were destined for the City would have been directed to catch a Northern line train to Tottenham Court Road (via Charing Cross) and complete their journey via Crossrail to Liverpool Street. Whilst there are alternatives (including bus travel), the sheer number of people affected means that any other alternative route (or combination of routes) will not be able to handle any more than a small fraction of those displaced in the peak periods. It seems almost certain that the delay to the upgrade of Bank station is due to the delay to Crossrail. Even if, by some miracle, Crossrail were open in time for its use as a diversionary route, it would be far too late to commit to such a closure when the main alternative was not certain to be available. Worse still, in the unlikely event of a major problem occurring during closure, London could be left for months without a decent route to the City for hundreds of thousands of commuters. It would seem, therefore, that the consequences of Crossrail and its impact on other projects is not just financial – the delay will also trigger a series of other delays which are unrelated to a lack of money. The closure of Bank station (and the part of the Northern line between Moorgate and Kennington) is not something that can be done at short notice. It would need a preparatory advertising campaign and much liaising with businesses affected as well as co-operation and involvement of the City of London. Realistically, the Bank Station Upgrade team probably need to be certain arrangements would be in place at least three months prior to the planned closure date. Under the original plan that would be January 2020 and, as we can see, the chances of Crossrail being ready by then are remote. There could well be a second reason why Bank Station Upgrade has been delayed until after Crossrail opens. This is the requirements for sub-contractors such as electricians, heating and ventilation engineers, and other suppliers of finishing works such as tilers. Crossrail, or rather their contractors, are already becoming hard-pressed to find workers from certain trades. Whilst Mark Wild denied that Crossrail was directly impacted by the consequences of a great effort being made in north London to complete Tottenham Hotspur’s new stadium, he chose his words carefully to only refer to current contracts. It is apparent from another senior member of the Crossrail team that the impact of the labour shortage on contractors who Crossrail want to tender to finish the work is significant. If further evidence were needed, one only has to look at the past minutes of the Crossrail Board which are now in the public domain. In the run up to the originally planned December 2018 opening there are regular reports of a lack of progress towards station completion and failure to meet planned productivity targets. It was clear from the figures provided within these reports that the project as a whole was slipping by a few percentage points each month – and that was against the workload as the board mistakenly understood it to be at the time. Incidentally, this recognised lack of progress is yet another reason why it is astonishing the Board thought they could complete the job on time well into 2018. Given news from elsewhere in the construction industry and the reduction in available labour from Europe, it would be hard to believe that Crossrail did not face a problem with getting people with various critical skills. Sadly, Crossrail’s much lauded apprenticeship scheme cuts no ice when essential workers are free from existing obligations and alternative commercial projects beckon with attractive pay packets because, they too, are anxious to get their project complete. It could be one of the enduring ironies of Crossrail that completion is going to be made more challenging by the loss of staff to the many construction projects in the City around Liverpool Street. These construction projects were probably spurred on, at least in part, by the knowledge that they would be very conveniently located close to a major Crossrail station and hence would attract premium rents. We do not know what is going on behind the scenes but it could be that Mark Wild or someone else in Crossrail has recognised the dangers of TfL having two concurrent projects chasing the same labour force. Indeed at the latest Board meeting Mike Brown, the Commissioner, assured the Board that he would ensure that Crossrail and TfL would liaise to make sure they weren’t competing for the same services. To delay the fit-out at Bank station would help prioritise Crossrail, by far the more important of the two schemes, whilst hopefully providing a labour supply to the Bank Station Upgrade once Crossrail is close to being complete and contractor employment at the central London station is starting to wind down. The reality is that Crossrail is far from a place where work can start to wind down at the uncompleted stations. Mark Wild recently talked about a Crossrail workforce that was still six to seven thousand strong. He is anxious that their work is done as soon as possible because paying them is one of the major reasons why Crossrail is ‘haemorrhaging money’ at around £30m per week. Unfortunately the knock-on effects of a delay to Crossrail on the Northern line do not stop at Bank station. It has always been said that the Northern Line Extension to Battersea Power Station would not open shortly in advance of the work at Bank if it meant that it would have to temporarily close again during the Bank shutdown. If the Battersea extension had been open long in advance of the Bank closure then the original plan was to offer a minimal service (4tph) as priority would be given to running trains to Morden which would benefit from the bulk of the trains (28 out of 32tph). The problem with opening the Battersea extension earlier than the Bank closure has now been exacerbated by TfL quietly reducing plans to increase the Morden service in the peak from 30tph period to 31tph from January 2020. Originally, it was to be 32tph from around 2015. A further temporary reduction on the frequency of trains from Morden during the Bank shutdown to 27tph would make a bad situation worse and the alternative of 3tph to Battersea is so infrequent that it would probably have really limited benefit. With the work at Battersea being delayed due to the developers changing their requirements and wanting to include over-station development (OSD) at Battersea Power Station Tube station (‘Station station’, if you will), the project has been further delayed. With the Bank shutdown put back by about 13 months, it seems that this may prevent the Battersea extension opening at the earliest possible date. If it is Crossrail that is delaying the Bank shutdown, and if the Bank shutdown is further delaying the Northern Line Extension, then it follows that some of the delay to the Northern Line Extension is essentially down to Crossrail. Alternatively, the reason may be the lack of workers available to finish the project and the reluctance of TfL to have multiple projects active dependent on the same limited external workforce. However, the true situation is difficult to establish. The public are already fed up with the cover up that occurred over Crossrail. TfL should be totally open with Londoners as to the real reasons for the delay to the opening of the Northern Line extension by at least nine months. On a separate issue, unrelated to Crossrail, LURS also reports that the Battersea extension will now only have 12tph (presumably this is a peak period figure) as this ‘is now considered adequate’. The explanation is that the Battersea Power Station site is expected to develop much more slowly than originally foreseen. This slowdown has been triggered by various factors dampening the investment market – and not just the obvious one. The 12tph service to Battersea will be achieved by extending every alternate train due to terminate at Kennington via Charing Cross to Battersea Power Station. This is certainly a lot more sensible that the original plan on opening, which was to have two out of three trains extended to give 16tph – and an uneven interval service. The revised plan requires fewer extra trains in service (three instead of five). The original objective was eventually to have all Kennington terminating trains (24tph or 30tph under the most optimistic schemes) extended to Battersea Power Station. It seems that the agreement to only provide 12tph is part of a larger settlement with the developers to resolve various disputes concerning the additional cost consequent on the developer’s change of plans. The extra three trains needed for the Battersea extension will supposedly be made available by installing a wheel lathe at Morden depot which will increase the number of trains in service by that amount. It seems, like on other Underground lines, the existing stock is going to be worked even harder to provide a small improvement in service. LURS also reports on plans to improve the inter-peak service to Morden – from 2022. This yet again smacks of something that has to take its place in the queue following other major upgrades such as Bank Station Capacity Upgrade and the Battersea Extension. Otherwise why wait until 2022? The LURS article suggests that this off-peak capacity increase will be achieved by extending some of the trains via Charing Cross to Morden. Previously, this would not have been possible as these trains would have gone to Battersea. Nevertheless the idea is a little surprising given that London Underground has gone to a lot of trouble in past years to segregate the two central sections of the Northern line at Kennington in the off-peak and avoid the complexity of having to serve them both with trains from Morden. In further news, LURS suggest that TfL is reconsidering its abandonment of plans for turning back trains at East Finchley within the platforms. This would involve various new or reinstated crossovers south of the station. 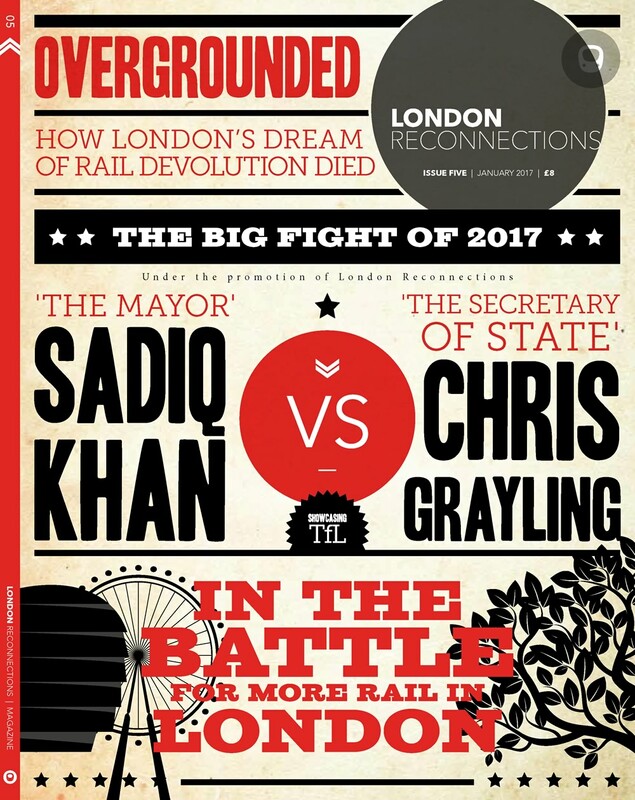 The magazine article suggests that the cancellation of the order for additional trains on the Northern line means that TfL is determined to maximise the productive use of the existing fleet. Nothing has been decided and this is something for the future but, yet again, we would suggest that, if this were to happen at all, it will not happen until the previously mentioned plans have been brought to fruition. So this too could ultimately be dependent on Crossrail opening. The Central line could be considered one of the most important, if not the most important, Tube line on London Underground. In terms of passenger numbers it is the busiest (even though it has some of the least busy stations in the suburbs). In terms of geography it is probably the most critical Tube line to provide access to the heart of London, serving both the City and the West End along an obvious main artery. It is entirely apposite that its colour on the Tube map is the colour of an artery. It is also not surprising it was the first deep Tube line of any significant length to be built in central London. So well-used is the Central line that one of the primary drivers for Crossrail was to relieve it, and there will be five stations on Crossrail that will interchange with the Central line. Until Crossrail opens the Central line is critical to keeping central London moving. Unfortunately, the rolling stock on the Central line is not the best quality. It is often said that part of the problem was that it was built at a time when rolling stock technology was rapidly changing. There are various other factors such as the Japanese bogies originally supplied, coupled with a belief that the Japanese just did not really understand conditions in London – from the roughness and tight curvature of the track to just how hard the trains are worked for much of the day. Whatever the reason, the trains have not fared well. With the delays becoming apparent in the Deep Tube Programme which would have supplied replacement stock, it was becoming clear that, without intervention, the trains (and in particular their motors) would not last until their replacements were ready. On current time frames it is realistically unlikely that the Central line stock will be fully replaced before 2035. With the fleet causing considerable day-to-day problems, something major needed to be done and it made sense to do it sooner rather than later. Crossrail was seen as a saviour giving the line a bit of a breathing space and allowing trains to be taken out of service for a major refit. The Central Line Improvement Programme (CLIP) is a major project (£300m+) to upgrade the trains to a more modern specification so that they can be deployed throughout their planned life (and possibly beyond). Part of the the requirement is so that they are compliant with Rail Vehicle Accessibility Regulations (RVAR). The problem with any upgrade to rolling stock on any line – but especially the Central line – is that you have to take trains out of service to do it and, generally, you need to run a reduced timetable. With the Underground struggling in peak hours even a single train per hour reduction has a capacity impact. It probably isn’t a coincidence that the first reduction of train service to enable this project to take place is scheduled for January 2020 – a month after Crossrail was originally due to be fully open. It is probably fairest to say that the impact on CLIP caused by delay to Crossrail is not a disaster by any means, but it certainly reduces the amount of wriggle room. For example, as happened on the Bakerloo line stock, there could be attractions in working on a heavy overhaul for more than one train simultaneously. The main benefits occur when the whole fleet is complete. Apart from anything else, depots are effectively going to have to maintain two separate but similar fleets as the same time with all the implications that entails (e.g. two lots of spare parts, retraining of fitters). An option that has been taken away by delays to Crossrail is the opportunity to reduce the level of service on the Central line to Ealing Broadway. This would have freed up more trains either for heavy overhaul or simply for overdue light maintenance. The fear is that without benefit of the direct connection to Central London local passengers will not switch from the Central line to the Elizabeth line at Ealing Broadway. With Stratford continuing to develop as a hub and the Central line expected to get even busier to the north-east of Stratford as a result, it seems that the Central line is simply not going to get the temporary respite that many had hoped Crossrail would provide. It looks like planners have already factored in extra overall availability expected from the overhauled stock so that they can further increase off-peak frequencies on the Central line. Away from the Central and Northern lines, we would suggest that the new Crossrail reality means that implementation of plans to replace three shorter platforms at Liverpool St station (platforms 16-18) with two new longer platforms in the summer of 2019 needs to be rethought – if this has not happened already. We have mentioned this issue before, but from the latest comments at the TfL Board meeting and the release of Crossrail Board meeting minutes, it seems that any plan to temporarily utilise Liverpool Street Crossrail deep-level platforms during platform reconstruction is a non-starter. Apart from a test programme on Crossrail due to continue until the summer at least, there is the major challenge of getting operating documentation written and formally approved prior to any opening – even a temporary limited one. A consistent theme in the Crossrail minutes was concern about lack of progress on documentation and the poor quality of the limited amount that had been produced. The point was also repeatedly made that it is difficult to document procedures until testing is completed. In addition to documentation problems, it is clear that Liverpool Street station is not on the list of stations largely completed or expected to be largely completed in the next few months. It is believed that Network Rail is anxious to press forward with the platform modifications next summer. The only realistic time to do disruptive work of this duration is in the summer holidays when commuter traffic is lighter for a number of consecutive weeks. Furthermore there has already been a lot of planning of this. To delay this would not only waste an opportunity, its rescheduled date will probably itself create a knock-on effect of other projects being delayed. In the event of some trains terminating short of Liverpool Street, the single track line from Bow to the main lines to Fenchurch St would be available for terminating trains to reverse. A lot of people using the current TfL rail service change at Stratford for the Central line and there are also other trains bound for Liverpool Street that stop at Stratford. In the event of an alternative platform (or two) needed at Liverpool Street there would need to be service reductions on other routes. This is something that needs planning and agreement with train operating companies (TOCs) and cannot be done at the last minute. 9-car Crossrail trains from the summer? Assuming that the platform works goes ahead, an interesting possibility is to run 9-car trains during this period. Crossrail certainly has sufficient 9-car trains. Whether they would be ready to be in service with suitable software is another matter. Running longer trains would certainly ease problems during the period of platform closure at Liverpool St. Currently in the peak hour, TfL Rail run 15tph to Liverpool Street. Even if these were all 7-car Crossrail trains (they aren’t) they could be replaced by 12tph 9-car trains and actually increase capacity. If it were decided to run 9-car trains, it would be interesting to see who would be regarded as responsible for this. Much of the slightly acrimonious debate over Crossrail delays was about the state of software on the 9-car trains. Crossrail, at the time under the old management were suggesting that as TfL procured the trains it was down to them to get them working. The riposte to that was that Crossrail was the systems integrator for the entire project and that involved getting everything working together – regardless of who the provider was. It is clear that the Crossrail delay has created problems that go far beyond the inevitable uncomfortable financial reality. At the latest board meeting, one of the board members impressed upon Mark Wild that businesses need to have a rough date for the opening of Crossrail as soon as possible as businesses need to plan ahead. It should hardly been needed to add that the same is true for TfL and Network Rail. Wasn’t it Snow White who sang “One day my prince will come”? I’ve been starting to wonder the same about Crossrail, so thanks for this useful update! Is there a possibility that when the Piccadilly line trains are replaced, some of them can run on the central line whilst those trains are upgraded? No and the first new Piccadilly line stock is due a year after the completion of the upgrade on the last central line unit. The central line stock is getting new traction motors, traction electronics and computer system. The last bit may hold things up if the software is at the back of the queue for Bombardier after sorting all the Aventra issues including Crossrail. The Central Line trains have an Anglo-Swiss traction package with British motors, not Japanese! The bogies were a Japanese design although some were manufactured in Derby. The bogie frames were all replaced by a Siemens, Graz, Austria design roundly 8 years ago. The traction package is at the end of its life and the traction motors have always been troublesome. Both were victims of the rapidly changing technology, as PoP so eloquently puts it, being DC choppers supplied at more or less the twilight of that technology. The replacement traction/motor system from Bombardier is already on order and will be installed as part of the Central Line Improvement programme mentioned along with numerous other modifications/renewals. As a regular user of Tottenham Court Road, I boggle at the thought of large numbers of people changing to/from the Northern Line from/to the Central. The interchanges are not spacious. Is the completion of the CLIP the only barrier to the Central line getting platform humps and other platform alterations to achieve level boarding? With Crossrail delayed, it is absurd that both Bond Street and Tottenham Court Road require manual boarding ramps on the Central line. Also, the 1972 stock is also reportedly supposed to be undergoing RVAR-compliance work soon. What is the status of this project and is there a completion date? There is already serious talk of running 4-car Central line units on the Woodford – Hainault section as shuttle service during the period of CLIP. Presumably they wouldn’t need retrofitting with Central Line ATO though there will be other issues. What a sorry state of affairs. And no sign of the full Thameslink service either which could at least help relieve some Northern Line traffic bound from the Kings Cross area to London Bridge when the Moorgate terminus is introduced. Yes, I had read of the proposal to run 4 car trains on the shuttle. But trying to adapt 1973 stock to ATO is likely to open an expensive can of electronic worms. Appreciate some of my concerns being addressed in long form. Crossrail are not only having to plan and resource remaining work but there are issues of verifying and assessing previous short-cuts not just with documentation. There will not be new service dates until they have some confidence about the status and resources needed. The relief over the dynamic test was palpable. It is still not clear if there is a realistic plan for LivSt. Surely a remodelling without Crossrail will need a new arrangement – or could that already have been drafted. Some platform reshuffling, service reductions and journey alterations, such as Bond St by Jubilee instead of Central. All measures including commissioning the 9 car Eastern platforms need time to implement so surely a 2020 deferral is inevitable? The Battersea project will take more than a decade to fill up so a 5 min frequency sounds generous. the existing stock is going to be worked even harder to prove (provide) a small improvement in service. Interesting article. As the saying goes “it never rains but it pours”. The revenue implications of all of these delays coupled with inevitable cost escalation / variations are not going to do TfL’s bank balance any good at all. And that’s before we have a recession (another one is due on the regular 10 year cycle) which really will kill TfL’s income. One other little issue at Bank is that the TfL Board have asked why the full station is not being made fully accessible – namely at Central line level. Of course this brings in very significant issues given the curved platforms on the Central Line. Clearly not an immediate risk but the planners have been tasked with looking at the issue. If a plan was to be developed to somehow make the Central Line platforms accessible then part of the works scope might need to be amended or a separate package funded and procured. All when the TfL piggy bank is empty. At the rate all these projects are being delayed I’ll either be dead before they open or, if the Mayor had not cancelled it, the Met Line extension to Watford Junction would have been completed before any of these projects. 😉 Now there’s a bizarre concept (the MLE one) to conjure with. Hard to see how the Central Line at Bank could be fixed without doing what is being done with the Northern line there, ie reboring tunnels so that the platforms are straight. No idea if that is practical and almost certainly completely unaffordable. Is this the long awaited collapse of industries (transport and construction) living in a bubble founded by the uninterrupted stream of tax payer money? where rubbing shoulder with senior peers matter to the utmost, securing year end pay out in spite of total failure? where top management hiring more top management to understand why the project fails…. I suspect problems on Crossrail stations have been exacerbated by the attempt to coordinate work using 3-D drawings ‘because we can’. In the past each trade worked in a fairly self-contained way and could finish and test its package without interference from all the others. I would be interested to hear from anyone working on the project how well the BIM (Building Information Management) system works in practice. The NAO inquiry will be investigating the extent of management complicity in the project reporting. @Rogerb: ‘the risk of technology induced failure’ – I like that. Note that coordination of work using 3-D drawings was surely not done just ‘because we can’ but because it looked more efficient (i.e. cheaper) to do so. And I guess it would have been, if it worked – as it was, the benefits were quantifiable, the risk wasn’t because it was new and not understood, isn’t that exactly how tech induced failure works? I totally fail to see the relevance of the “taxpayers’ money” comment. It is exactly the same with private money. As some of us have repeatedly pointed out, there are loads of schemes, worldwide, that are late or over-budget. Some have taxpayers’ money behind them, some don’t. Slightly skewing the results is the fact that big risky schemes of perceived public benefit tend to only be possible with “taxpayer’s money” whether it is the Hoover dam or a transport project. The private sector won’t go near them unless there is an enormous mark-up to cover risk. Also skewing results is the fact that when firms like Carillion goes bust or the giant PG&E (Pacific Gas & Electricity – US) goes into administration the taxpayer has to pick up the pieces because there is no-one else who is going to. Our first generation nuclear power stations were successfully built with “taxpayer’s money”. Our next generation is supposed to be privately financed but only one of them has got as far as starting to be constructed with all the others cancelled. And that one is already running late. And don’t forget that “privately funded” really means “funded by shareholders” – in reality, pension funds – essentially our money. I think 12tph for Battersea is probably decent for now, and helpful given the Bank delays. The site isn’t going to ramp up (absent Singaporean billionaires in the flats won’t miss the tube frequencies…) and I suspect that the high-end retail scene in London overall is going to be pretty slow in the coming decade. On the subject of Central Line shuttles, and fleet pressures to replace the stock – might another option be a 4-car shuttle from Ealing Broadway to White City? Especially once Crossrail opens, it should be good enough. They could still run full length trains in the peaks – either to White City or a few through Central London – but otherwise limited to that. West Acton the real loser, but should be negligible and much of the catchment could use Acton Mainline (or North Ealing). I wonder how much of an impact this multi-leveled sub-contracting employment model has on the delays. Everyone these days seems to be a contractor, working for a sub-contractor, working for another sub-contractor, working for Crossrail. This is supposed to make things cheaper and more efficient as no-one has “employees” anymore, which is fine when there are a surplus of skilled people and a shortage of projects, but we are now other way around, with a skills shortage and too many projects. With a seemingly never ending series of projects on our transport infrastructure, is it time to go back to actualy employing people properly? In the High-Speed railway internal benchmarking study, undertaken by PricewaterhouseCoopers in November 2016 for HS2, one of the things they noted was that the fragmented supply chain model used in the UK increases costs compared to other countries, and that consolidation and mergers would improve efficiency. It seems to me there’s an endemic culture in the UK that prioritises “clever” management trickery, with structural and financial orchestration that makes an army of MBAs, accountants and lawyers feel like they actually contribute something useful, whereas organising things much more simply would likely get the job done faster and for less. You need something done? Get a bunch of people with the right skills to turn up to the same place for 8 hours every day, pay them a decent wage and treat them with some respect, and you’ll be amazed at the results! @Aleks: Forcing people to sign NDA’s upon departure, I believe, is highly dubious legally, there have been cases about it and the court ruled that extening terms of employment beyond the period of employment was a “No-No!”…. Paul. Maybe so. But the people must form a team. So not just the right skills but also the right blend of characteristics to work together. Oft forgotten. Buying a whistleblower’s silence by effectively bribing them to keep quiet over illegal practices is another matter altogether. If today’s papers are to be believed, (there’s a thought) the vultures are circling over HS2. This could free up some resources. “vultures are circling over HS2. Only three stations on HS2, none of them in tunnel. 1. When the Auditor General or select committees (or some regulators) come knocking they aren’t worth the recycling value of their shreddings. 2. Most in house legal / HR staff or external junior legal staff involved in employment contract drafting don’t get this especially if they have been copy’n’pasting contract terms for as long as they can remember. As Timbeau has pointed out their scope is fairly restricted in the private sector (many firms have a poor understanding of this) and even more so when there is some public sector involvement. 3. As SH(LR) says there have been a couple of test cases around extending terms of employment in general and the results haven’t been in the employers favour but none of this gets fed back into most employment contracts, NDAs or corporate thinking. And let us not forget that if criminal activity is involved or suspected (which I am not suggesting is the case here) then no gagging or any other order can prevent someone (anyone – including the person gagged) reporting it to the police. Something lawyers caught out fare evading and agreeing to pay a massive amount in civil settlement to cover past misdemeanours seem to forget. Somewhat amusing since you would have thought this was the one group of people who would have grasped this fact. In terms of retro fitting Central Line ATO to Ex-Piccadilly line trains I suspect one of the big problems would be finding some ‘new’ ATO & ATP units as the microprocessors used in the Central Line signalling stopped being manufactured a long time ago. Added to the fact the American military were extensive users of the same microprocessors and buy up any second hand chips that come on the market. There was a proposal to remove the Microprocessors from the Bakerloo Line track circuits and use these as spares for the Central Line, the Bakerloo line JTCs would be replaced with units similar to those on the Victoria Line. Not sure if this ever happened. Westinghouse were also looking at getting them re-manufactured but getting obsolete chips made is not easy as production processes have moved on and you still have to make new test equipment. The mere thought of fitting ATO/ATP to shuttle trains on the Hainault Loop gives me a sense of déjà vu as that was a project I worked on in 1977 ! Reversal is possible at North Acton, which would avoid the use of trains of different lengths between there and White City reduce the number of trains required. The 1992 stock was over-provided with DMs, to provide some flexibility in forming trains (a unit with a DM can replace any other unit in a train). 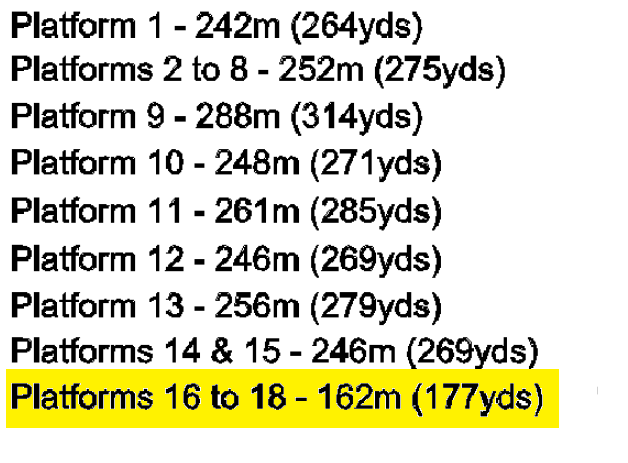 There are 175 units with DMs and 165 without, enough for 85 trains, of which five will have an extra DM in the middle. If that flexibility could be sacrificed by decommissioning the cabs of the five extra DMs, you might be able to use their ATP equipment to equip something else: I understand some of them can already only be used in the centre of trains as they have been robbed of other components. However, if the Hainault shuttle is to be run using four-car trains of 1992 stock, those extra DMs will be needed to be kept intact (or even re-instated) for that purpose, so there wouldn’t be any surplus equipment available to run another shuttle (with e.g converted 1973 stock) at the Ealing end. Thinking about a Hainault Woodford shuttle I think you might be able to run a surface stock train on that section so you could use 3 spare S-Stocks though maintenance of an S-Stock in Hainault would be a bit of a challenge. Another alternative would be to use that very flexible replacement a bus ! No ATP or ATO but who cares ? In terms of extra provision of ATP equipment that was how the Victoria Line (67TS) ATP survived for 40 years. Mr Dell insisted that all the middle cabs were fitted with ‘Safety Boxes’ as he did not want people moving them about due to reliability and safety issues. This 100%+ spares holding was enough to keep the boxes in service even though some were used on the Hainault – Woodford loop (pre-Central Line modernisation) and also to equip the extra trains created by replacing some middle cars with 72TS ex DM’s and Trailer cars. This created a few additional units but I can’t remember how many. I don’t think any new magnetic amplifiers that were the key safety component in the ATP box were ever purchased. Some were made but never worked as the magnetic cores had got better over the years and this changed their characteristics. A rather stupid question perhaps: is the dependency on the spare capacity on Crossrail for displaced commuters rather ominous to some extent? I assume W&C can provide little spare capacity during the closure as itself is always packed. If Crossrail opening unfortunately slips into late 2020 or even 2021, then it seems logical, as the article goes, that Bank closure should accordingly be further delayed as well. This would defenitely be very awkward. Speaking of W&C, isn’t it using the same stock as the Central line? I’m rather curious if there’re similar upgrade plans (and delays) for this tiny little line as well. The W&C uses similar rolling stock but but is manually driven with Tripcock discrete ATP. It was built for British Rail as an add on to the Central Line order and then sold to London Transport together with the line for a small fee. One of the oriiginal proposals was to use this line for the initial introduction of the unmanned NTfL trains but various considerations such as the need to close the line, problems with ensuring the train was empty when it was reveresed at Waterloo and the distance between emergency exits as well as the lack of room for the equipment on a 4 car train resulted in that plan being put on the back burner. The distance bettween Waterloo & Bank is the longest distance with no emergency exits from what I was told when Metronet were doing the W&C refurbishment. The distance was one of the reasons the Clayton locomotives were used to move material and people as there was no access at the Bank end so removed materials from the ‘North bound’ all had to travel via Bank and back to Waterloo. “Ominous…” In terms of extra capacity for the Bank closure relief full Thameslink at 24tph in the peaks is pretty important as is indirect relief created by crossrail on the Jubilee. There isn’t a plan for W&C stock that involves much more than cosmetic work (e.g. light fittings being the most complex). There will also be a huge pile of spare parts from the central stock to keep them going though. Unlike the central line they don’t run above ground so no wet or leaf covered rail issues and a no ATP to get confused by railhead conditions. There’s a political dimension here. For the Elizabeth line to not be at least partially open by 7 May 2020 will be politically inconvenient for the Mayor. The pressure will be coming down from upon high to open, somehow, by then. Even if the line had opened before this, no sitting Mayor wants to be campaigning during a prolonged Northern Line City closure that many of the travelling public will have little sympathy for. Crossrail is only going to make the Northern Line in South London even worse, more people will interchange onto it at TCR and Moorgate, because less people will be changing onto the Victoria / Bakerloo lines at Oxford Circus. Moorgate in evening rush hour is going to have to be closed due to overcrowding every day, it’s already very dangerous. Given the software is still being developed (for signalling/running in tunnels ) there’d be two versions to be supported – are there resources to do that? 9 car 345 are available they just don’t work in the core or Heathrow Tunnel so not a problem for LST high level running. The 9 car software is much more reliable than the 7car software which they stopped developing ages ago. ~3 9car units are doing driver training on the western side every weekday and the MTIN is substantially higher than the 7 car units. The issue on the western end is effectively around station platform works. The closure of the HEx depot by the end of the year will focus Crossrail on sorting 9 car for non core tunnel use too. I suspect one of the biggest issues as regards software and progress has been the inability to test as they would have wanted to. Now that much more testing is possible and it has been restructured to provide critical (path) learning up front rather than convenient tick boxing nothing will probably emerge for another few months at which point it will look like remarkable progress has been made. The key is to make sure software changes can be batched up efficiently in a structured way. @ Timbeau – I did think about North Acton, but figured that White City would be better – it’s an actual destination (lots of new jobs, Westfield, Wood Lane interchange) and has more trains due to the starters in theory – even though this new shuttle would take up that platform! Plus East Acton would have some more trains too. Not knowing the loadings, but could the Hainault shuffle just be operated as ‘one train in steam’ (per metals) in an emergency, making the signalling irrelevant? I suspect the platform arrangements at each end of the loop rule that out. ALISONW: Judging by the map, the Hainault loop tracks join the Epping line just south of Roding Walley station. To form a working interchange the Hainault trains need to run down to Woodford. To make one track “the Epping track” and the other track “the Hainault loop track” from Woodford, you’d need to run the Epping service as a single track operaton all the way between Woodford and Loughton. Not sure what frequency might be possible doing so. To me it seems like the most feasable way to run the Hainault loop with “one train in steem” would be to build platforms on the Epping line at Roding Valley. It seems like there were never any platforms there, but there might be enough space. Everything above based on what I can see on the Carto Metro track map site. For Crossrail it might had been a better idea to focus on getting one track complete as far as needed to test the trains and the signalling system. For testing purposes it mostly doesen’t matter if you have a single or a double track – you can just run a bunch of trains in one direction, and a while later run them in the other direction. I know that some stuff needs to be done at almost the same time at a work site for the work to be effective, like for example building stuff with concrete. But the platform edge doors, track laying, hanging up the overhead wire and similar stuff could had been done one track at a time. Btw, mostly realteed to the previous post: A crazy idea: As both ERTMS and the GW-ATC uses 27MHz, could the hardware on the Crossrail trans be used for GW-ATC assuming software would be written? Re rebuilding the Central Line platforms at Bank: This subjects makes it really tempting to break the rules re: which underground extension discussions is’n allowed here. Especially as the Central Line and Crossrail mostly parallell each other here, and with Crossrail the Central Line doesn’t really need to follow it’s existing strech any more. It’s OK to use Carto Metro, or google maps, to debunk other people’s impractical ideas. But please could we have a bit less crayoning – by which I mean (in this context) throwing in your own totally impractical ideas which have obviously (and in some cases admittedly) been put together with little or no local knowledge. Let’s keep our feet a bit more on the ground please. Unfortunately the “Hainault Shuttle” doesn’t exist – or not in isolation, any more, at any rate. I can’t check in detail because TfL do not publish a proper, real, actual timetable, but, at least some of the trains, through the day run all the way round, via Newbury Park to S Woodford. I know, because I was on one last year …. I think they also run Central London – Hainault trains via Chigwell as well, but am not certain as to that. The previous, entirely self-contained S Woodford – Hainault service may exist, as well, but it’s not all of the service. At S Woodford – yes, just. The junction for the loop is a standard double turn-out, there’s a trailing x-over just N of the station, which allows a terminating shuttle to reverse across & away back towards Hainault. But the station itself is only 2 through platforms &, again a S-facing bay, which cannot be directly accessd from the N ( i.e southbound) side. Trains that have come right round the loop seem to run into the headshunt. Of course, in previous times, this was easier, because the service frequency was considerably lower. Full of existing housing & narrow roads … NOT worth the expense. @ Greg – TfL publish all the tube working timetables. It is a matter of seconds to find them. What’s all this reference to South Woodford? Trains off the top of the Hainault loop reverse at Woodford station for most of the day. There are occasional scheduled through trains that run via Snaresbrook and Woodford and then round to Grange Hill to terminate (also reverse workings from Grange Hill). Much rarer these days than several decades ago when I used the Central more regularly and used to see these workings. I hadn’t realised that there wouldn’t be ANY service on the Northern Line between Kennington and London Bridge during the closure, having assumed there would be a terminating service from the south at London Bridge (akin to the Moorgate one from the north), or at least a Kennington to London Bridge shuttle, why wasn’t this considered? Capacity issues at Kennington, lack of stock? The 95 stock are good and reliable trains, but it does concern me that they are constantly being pushed harder and harder with no replacement presumably due before 2040. There were a few direct trains from central London to Grange Hill via Woodford at the end of the day even when “handed” 1962 stock ran the line. These would end up in Hainault depot “back to front”, so had to be rostered to services going back the same way in the morning. Not a problem now of course as 1992 stock is ambidextrous. From Google Earth it appears there might be space for main line platforms at Roding Valley, but the BCR is unlikely to be worth it – Roding Valley is the least-used station on the entire network, and turning it into an interchange wouldn’t change that. There is no crossover between southbound and northbound anywhere between Moorgate and Kennington, so a reversal at London Bridge is out of the question. Typo – I meant “Woodford” of course, oops. As seen on TV that’s how they are doing it. Once PEDs were installed the platforms were secure worksites. They ran construction trains in one side and test on the other. Thanks. A shame, especially for the businesses in the Borough area. I’ve been racking my brain to remember the arrangements when the City branch was previously closed for the rebuilds at Angel and London Bridge (Euston was before my time!) The ex C&SLR line does seem to have caused massive headaches down the years, with the enormous and expensive rebuilds necessary. @Mikey C – I remember the crossover that used to be at London Bridge on the Northern Line, crossing from the northbound to southbound tracks just south of the platforms, so that trains from the south could be run in and reverse to go south again. I don’t know when that was taken out but it was after I stopped working in the City. I think it was kept in case the flood gates immediately north of the platforms had to be used to protect the station from the under-river stretch. When the new Northern line platform was built and the existing one converted to a circulating area which was done as part of the Jubilee line construction – though treated as a separate project. If I recall correctly the running line switchover at Angel happened within around 42 hours, although the new station took longer to come into full service. After the normal end of service on Friday night the line was blocked to northbound trains, while southbound services continued to run without stopping at Angel. The track was then slewed into the new tunnel at both ends, and the first through northbound passenger service ran on the new alignment around 5pm on Sunday afternoon – with a fair bit of arcing. However, there were problems with the escalators which meant that the new station didn’t open for two or three weeks. When it did it was for northbound trains only for several more weeks while the cross-passages were opened out across the former northbound alignment into what would in future be the southbound-only platform tunnel. I suspect that some of the engineering techniques and testing used in this quick switchover might not meet current standards, but Angel was always an easier site to work on because of the relative stability of the ground compared to the water-bearing gravel that I believe surrounds (particularly) the north end of London Bridge and south end of Bank worksites. According to Clive’s Underground Line Guides the Northern Line was closed southbound between Moorgate and Kennington from 1 July to 21 October 1996. Was this closure delayed by the delays to the construction of the Jubilee Line Extension (originally due to open 1996)? If so then history repeats itself. The East London Line was closed for three years (!) at the same time for Canada Water station to be built and the Thames Tunnel to be shotcreted. I think the failure to batch changes in a way that works well for projects with complex testing and acceptance routines has been mentioned a few times. I’m wondering (speculating from limited knowledge) if this may have anything to do with most commercial software developers and managers having gained their experience in environments where “Agile” methodologies are used. There, you identify a minimum viable product by stripping out all but the most essential features, build and deploy it to live usage then keep creating new versions to incrementally add requested features. This can mean fortnightly, weekly or even daily new versions of the software. I’ve been working alongside developers in large companies for some time, and noticed that the Agile approach seems to have completely replaced the previous stage-based approach in most of them – to the extent that, for some of the development staff, it’s the only way of working they know. It works well in environments where everybody involved in specifying, building and testing the software works for the same organisation, and makes it much easier to identify and discard if necessary any features that end up being too complex or expensive to justify. But it also means nobody on the software side will have much understanding of how to develop software in a “stage-gate” managed world, where there has to be an agreed version of software that all the participants have tested and certified as suitable for use, before anyone is allowed to progress further changes. Also, going off at a complete tangent, Southeastern services have had endless problems with unreliability of signalling at Lewisham recently. Presumably time-expired wiring plays a part in these problems. I’ve seen comments that suggest this is due to be resolved by a Lewisham resignalling project scheduled to begin in 2020. I’m now wondering, given the interconnectedness of all these projects, if that 2020 start date was predicated on an expected availability of signalling engineers when Crossrail completed in 2020? The gradual migration of all the “old” London Bridge power signalling to the new 3 Bridges centre is well down the track by now. IIRC the most recent section to be done was “Angerstein” – meaning the 3 junctions @ Blackheath – Charlton. Lewisham itself is now under the control of 3 Bridges, unless my memory is entirely adrift. So your problems have some other cause. The original resignalling and transfer to Three Bridges of the remaining SE side of the London Bridge box (including Lewisham) has been slowed down and will complete next year instead of in 3 months time. As Greg say the Blackheath Charlton Angerstein area was the most recent to be done. They aren’t being done in geographical sequence spreading away from London Bridge though. “Agile” developement should be possible to use in the early parts of testing, as long as the parts in question isn’t considered trustworthy. I.E. you treat the line as if you haven’t got any ATP/ATC while you do “agile” development of the software. The only parts that must never be treated this way is stuff like the break system. Generally re resignalling and transfer of control: There were remote controllable interlocks produces before PVC wires became common, and nothing really prevens chaning what remote controls such interlocks. So technically you can change remote control location (or add remote control) even if the wiring is done before PVC wires. @Miam, wrt PVC cables, not forgetting the so called ‘green gunk’ from plasticiser issues, at least on t&e. @Ben What are plasticiser, and t&e? T&E =Twin and Earth, the most UK wiring installation method. Plasticers = chemicals (e.g. phthalate esters aka the new car smell) added to certain plastics usually PVC to soften them and make them more ductile. Double glazing is commonly made from unplasticised PVC (uPVC) which hasn’t been softened. We have covered this a number of times but a classic step-plate junction approach is not possible at the north end of the Bank works because one running tunnels is on top the other one at the point where the route needs to diverge and no contractor would commit to anything other than a complete closure to divert the route. See first main paragraph headed “Joining up is so very hard to do” in Bank Station Part 4: Getting Radical. Step plate junctions are still used when appropriate – most notably the two used on the Kennington loop for the Northern Line Extension. Please do not confuse the location (and type of control centre) with the interlocking and trackside kit installed on the ground! To do show shows a pretty basic lack of understanding of signalling systems in general. A reliable signalling system primarily requires an reliable INTERLOCKING as this is what ensures safety and thus is where a failure is most likely to bring things to a stand. While its true that Charing Cross, Cannon Street and the lines out to New Cross / New Cross Gate were totally resignalled with a brand new interlocking (in the arches at London bridge) MOST of the interlockings controlled by the old London Bridge signal box remain unchanged! These remote interlockings were built and wired up in the 1970s, use banks of indavidual relays to perform the interloking functions and are basically unchanged to this day despite the transfer of the control point out to Three Bridges. In railway terms this is called a ‘recontrol’ and simply involves pointing the telecoms link from the 1970s era relay based Lewisham Interlocking to the Three Bridges ROC rather than to the 1970s era box at London Bridge. Almost NOTHING is altered on the ground in this situation (most LED signal head are designed to require no wiring alterations compared to the filament head they replace for example) so earthy / degraded lineside cabling, and hundreds of relays all with the potential for high resistance contacts (a very common failure mode) remain in frontline use. Thus I can well believe that some of the 1970s wiring is now causing problems with SE infrastructure reliability and only complete replacement of the relay based interlockings will change this – the fact that said wiring / relays may now be controlled from a fancy new control centre in Sussex means absolutely nothing and will not make things better however much politicians and CEOs may claim. Its a bit like having the latest 4K TV but with all the programme content still being produced in Standard DVD quality….. The difference being that because the ground floor and upper floor were mechanically connected with levers, in practice you had to replace both at the same time. As this is getting further away from Crossrail, the Northern Line, the Central Line Improvement Programme and Liverpool St station I hope this diversion is at an end and we can once more get back on topic. Thank you all – very enlightening and I feel better informed than I was a couple of days ago. @PoP – The inevitable exceptions to the general rule about about mechanical interlockings being directy connected to their operating room levers above are the pneumatically actuated miniature frames and interlocking machines of London Underground, which are usually remote controlled from elsewhere but can be manually operated locally in emergency. As far as wire degredation is concerned, Westinghouse geographical interlocking installations from the 1970 and 80s have fared much better in this respect than similar products of the era from GEC. Plans for a new layout at East Finchley for service reversing have now been dropped, the £36m cost no longer being justifiable without additional trains previously expected. [TfL Investment Programme Report, Quarter 2 2018/19] . The new Piccadilly trains are reported to cost £1.5bn for 94 trains (TfL press release); the same cost as the 192 S stock quoted at their launch! (BBC news report) So a new tube train will now cost approx. £16m, and East Finchley would probably have saved two trains plus crewing costs, etc. No doubt these plans will be revived when additional Northern line trains are next to be ordered (? for Euston demand with HS2 opening, and no Crossrail 2 ?). Do you have a prediction for the Northern Line service pattern when the City branch is only closed in the southbound direction (which was scheduled under the original plan between May and August 2020)? In the peaks it is almost impossible to tell. My guess is that as they will have spare trains they will run quite a few trains in the morning peak that make a single northbound journey then stable and run back south during the day (possibly empty) ready to do the same trick in the evening peak. I suspect only a Northern line timetable expert could work out what could be achieved and the effect of this. For example, I suspect this would force many ‘push through’ trains to terminate at Golders Green or Finchley Central to get them out the way. In the off-peak and at weekends it depends on whether they can run 32tph southbound through Charing Cross. If they can then the obvious thing to do is to have 16tph northbound in each central section with every alternate train via Charing Cross starting or terminating at Morden to give a 24tph south of Kennington. If they can only run 30tph southbound then obviously that means 15tph northbound on each central section and 22.5tph to/from Morden – or maybe only run 1 in 3 from Charing Cross to Morden to give 20tph south of Kennington (same as today but they either wouldn’t be so evenly spaced or would have to wait at Kennington). PoP: Running these extra trains back southbound during the day (whether empty or not) would depress the northbound frequency below 16 or 15 tph per route, which may be undesirable. If there is stabling space and stock, this could be avoided by using different trains as northbound-only during each peak, and running them all back in the evening or early morning. If the trains and signalling are capable of it (which I doubt) then coupling several trains together for an empty southbound journey would be interesting to contemplate. @ Malcolm – it was usual LU practice for timetables to have stock transfer, track recording vehicle or training paths off peak. If that practice has been maintained (I haven’t checked) then it may be easier than you suggest for PoP’s idea to be implemented in practice. During closures the timetable is almost always compromised in some way and publicity geared so as to deter as many people as possible from using the affected service. Facilitating a few uni-directional stock transfers shouldn’t present too much of an issue. I suspect the crewing arrangements would be the most complex aspect. WW: I may not have made myself clear. Of course it is feasible to find or create a path for runback during the day. But doing this is not compatible with maximising the northbound inter-peak frequency, as the path could otherwise be used for a normal train. But anyway, as several of us have suggested, there would probably be other constraints which would only show up when someone makes serious plans for real. All the more reason TfL should urgently be looking at long term mass public transport alternatives to the Northern Line, particularly around the Clapham. This means lobbying the DfT to include nearby Clapham High Street Station on Victoria services, launching new Clapham-Zone 1 bus routes. The problems of closing the Northern Line Bank branch will bring into sharp relief how much navel gazing there has been in transport policy and disproportionate focus on cycling. Most Londoners want to get from A to B – they don’t – as TfL seems to think – spend their time worrying about cycling. Instead TfL should stop cutting bus routes and re-prioritizing buses alongside buying additional rail services within rail franchises serving Greater London (legally TfL can do this). Cycling is simply a niche activity and transport policy should not be priorising people who don’t want to use public transport. Modern Railways just out (March 2019) reports that when it comes to the Liverpool Street closure “TfL is now looking at rescheduling for August 2020”. The only problem with that is that it is not TfL’s project. By now Network Rail or their contractors should have started booking plant for hire and notified affected employees not to book leave in August. Even if Network Rail agreed I suspect there would be a multi-million pound cost to TfL for postponing it. I am not saying it won’t get postponed only that postponement is not a pain-free option. Postponement also presumes that TfL will be ready to run services though the portal at Pudding Mill Lane in August 2020 but Mark Wild has been talking of letting the initial service settle down for at least six months after opening before anything extra is added. So that would mean Crossrail opening in early February 2020 at the latest to comply with this restriction. Network Rail also have some Greater Anglia remodelling at LivSt scheduled for summer 2020. If core opening is ‘impossible’ in Dec19 it doesn’t ‘switch to possible’ in the following month or two. It is a continuum all the way to indefinite. Mark Wild has said he retains ‘some’ hope it might be by Dec20, most likely in any distribution is 21/22. The show did say that the ‘method’ of cable pulling or escalator fitting has not changed in a century. It was striking to see the contrast between trade crews and all the profiles selling careers of presumably TVgenic inexperienced never done anything like this before types. Sky-art at Paddington, does it save washing? I too was amazed how young and inexperienced these Managers seemed to be, in the Crossrail Show. I wonder if that is another part of the problem? A few “old hands” might have helped foresee the problems..
@ Nick B – I don’t disagree with your concerns but the direction of policy is in completely the opposite direction to the one you want. There is no spare money to pay for incremental upgrades on rail franchises. I suspect TfL are probably secretly pleased they didn’t get South Eastern inner suburban routes devolved to them. There’s no money to fund the usual station upgrades and fleet replacement. Worse there’s no prospect of that money ever becoming available but then it’s beginning to look as if the new South Eastern franchise will never be awarded. It remains to be seen if the recent vaguely positive noises on limited devolution in the early 2020s turn into action. Recent comments from the Commissioner indicate that progress is slow (to put it mildly). No one is fighting the corner for bus services in London and certainly not for inner London services. We have the somewhat peculiar situation of bus services being cut into North Greenwich at the time when the Peninsula is being redeveloped with new housing and new retail. If reductions can be made here then you won’t see expansion in and around Clapham. As for reversing policy on cycling – that’s not going to happen with this Mayoralty. The Transport Strategy is very clear. I don’t think it will have the results that the political authors of the strategy intended but that’s a separate issue. Trying to stop provision of cycling facilities is politically very dangerous for the Mayor. He is already being criticised for lack of progress on many schemes and underspending the cycling budget. It is possible, but perhaps not hugely likely, that the Mayor will lose votes from those who cycle who have not seen the improvements they expected. We’re only 15 months away from the election which means very little time for significant progress on many policy fronts. Cycling is very much a real transport solution. I now cycle to work where previously I was taking up limited tube and train capacity, and it’s better cycling routes and junctions that made all the difference. Cycling is unlikely to replace every tube/train/bus/car journey but it doesn’t have to since the biggest issue with all those modes is capacity. Transport schemes should be assessed on the same BCR criteria – that’s the only reasonable way to compare across modes. Cycling has been underfunded for too long; particularly in these economic times, it’s often the most effective use available for limited public money. @ LMM – I fear we may have to disagree. Yes some spending to make cycling safer is fine. However it should not be at the cost of expenditure on other modes. £30m is getting splashed on Mini Holland in Waltham Forest. I don’t cycle and see little point in so doing for my local trips for reasons I’ve set out here before. All I have seen is a lot of road works, horrendous peak time congestion on main roads, bus service cuts with more looming and walking conditions that are worse to the point where I’ve nearly been run down 3 times by cyclists *while crossing on a marked zebra crossing that extends across the cycle paths*. You’ll perhaps understand why I am less than impressed. I accept some people may have gained from the Mini Holland facilities but we’re not exactly seeing hordes of cyclists everywhere as in the Netherlands. You say that the same benefit/cost assessment should be used. Couple of problems with that. I think TfL themselves would acknowledge that identification and measurement of the benefits from cycling is not very mature in a UK context. It is certainly nowhere near the level that applies in respect of rail, road and bus schemes. Secondly we have the situation where the cycling scheme / gyratory removal at Elephant and Castle had a negative business case which the TfL Board refused to approve. The then Mayor overrode the Board and approved the scheme anyway. That’s not the first such decision related to Mayoral policy commitments but it shows very poor and unequal practice in terms of spending public money and actually getting benefits rather than cost / disbenefits from such spending. I suspect similar issues apply with the air quality schemes. No one is denying that London’s air is poor but it’s hard at this stage to be certain that the schemes that are being funded will deliver the right outcome. Obviously it’s early days for both air quality and cycling projects and their proper assessment and you have to start somewhere. However that doesn’t mean they’re immune from criticism or comment. As we’ve covered before on numerous occasions this doesn’t work because it completely destroys the SE timetable unless it is the Victoria – Dartford services ONLY and they are diverted from the normal current via Cambria Jn route and the Rolling Stock is significatnly higher capacity as they are already pretty full as they pass. Potential Air Quality schemes* – the problems mostly arise due to diesel vehicles either stationary or at very low speed or high volumes of multi lane traffic at 50mph (Dual carriageways / Motorways). * I was one of the 8 or so individuals on behalf of their employers (everyone from fuel companies, a car manufacturer (non German), Greenpeace and specialist consultancies) who pre-warned DfT about the dash for diesel before they went ahead. – cheap – easy wins are elsewhere. The big win on PMs in London comes from enforcing the clean air act and saying good bye to wood burning stoves (including pizza ovens etc.). Unlike most of Northern Europe we don’t have (but soon will) emissions standards for wood burn stoves or fuel standards for urban areas which has made the illegal use even worse in London. Most local councils in urban areas are blissfully unaware of the size of enforcement departments that Defra are effectively requiring them to have (or the fines the council will get for AQ issues if they don’t). Nailing down the coffin lid on Hygge won’t be popular in many places. The big win on NOx in London (especially inner London boroughs) largely comes from domestic central heating boiler replacement as they are also subject to NOx emission limits. The latest standard (came in from September 2018) so a sensibly designed boiler scrapage scheme for older boilers (boilers have similar lifespan to cars at circa ~16 years) would have massive impact and far better BCR than most Traffic related schemes. On cycling, one would think the big benefits of improvement schemes (especially at junctions) are agglomeration effects. I.e. “cycling isn’t an option for me because, even though there is a Cycle Superhighway for 50% of my route to work, I still have to traverse ‘horrible junction X’ and cycle along ‘congested/polluted high street Y’ in the other 50%”. So investing in any scheme has the potential to bring us further towards a Netherlands-style model by gradually filling in the gaps. At the end of the day, the cycling culture of the Netherlands didn’t develop overnight, it’s the result of a decades-long approach to improving and maintaining cycling infrastructure. Over Christmas and the past 3 w/e TfL Rail has had no eastern service. I have not yet done a survey, was there progress on station conversion? Could this have been an evaluation for the LivSt rebuild? Because I regularly see 7-car class 345’s in service, as I pass between Bethnal Green & Livp. St.
I’ve even ridden on one between Stratford & LST, several months ago. so either this is “not news” or something else is causing this apparent misreporting. Or do they really mean Stratford – portal – to where – Whitechapel?? test working(s) ?? @WW I was sceptical about the Walthamstow schemes to start with, but the lanes have a level of consistency that’s a real game changer – given that safety worries are the main reason people give for not cycling. On a trip to the area last Friday I was astonished by the number of cyclists I saw (and February is hardly peak cycling time). Many looked to be children returning home from school unaccompanied, so potentially saving multiple trips by car. Not everyone can or will cycle, but to the extent that a cycling scheme improves air quality and reduces congestion on other transport modes, those benefits accrue to everyone. It’s certainly possible to invest badly in a cycling scheme (as with any other mode of transport), and I’d share your worry about any case where the mayor overrode the business case (again, as for any mode). I hold only that cycling is a legitimate mode of transport like any other. For a given policy objective (such as meeting a particular air quality level, or achieving a certain level of capacity on a particular corridor), it’s right to include cycling schemes in the options, and entirely possible that they can sometimes have the best overall business case. (Equally, of course it will often be the case that a non-cycling scheme ends up being the better option overall). @GT – Elizabeth markings – full 345 set through the portal from OOC via Whitechapel. As you can see from the Header it is Hayes & Harlington. There is a test bench in the first car. It has not been any further than the Stratford platform AFAIK. They have been running a train bi-directional in each of the tunnels. The TfL sets came over the North London Overground route. 345s are indeed in regular use between Liverpool Street and Shenfield – I’ve been on one. But the one in the video doesn’t look to be in service – clues are the taped off platform, the destination shown as Hayes & Harlington, the absence of any passengers, and the long standing time – the train doesn’t move for the duration of the video. The train in Aleks’s video has Elizabeth Line decals whereas the ones on the TfL rail service have TfL rail decals. But I guess we don’t know whether that train had been anywhere more interesting than Ilford. 9-car 345032 was sat in platform 8 at Stratford on Saturday at about 2.20pm – didn’t see where it went – NR lines obviously under possession and platforms taped off. For what it is worth the side panels showed a class 8 headcode, destination of Reading and next stop Paddington. @ Aleks – the weekend closures have, I think, been a combination of Crossrail related works but also other NR work further out in East Anglia. NgH will know better than me but testing of the transition points at the portals is certainly part of NR’s scope of work for Crossrail. It makes sense to get these tested so that any issues are identified early to give the supply chain a decent chain to rectify identified faults. I’ve no idea about progress on eastern station works only that Ilford and Romford are unlikely to be finished until some point in 2020. Re WW, Alex et al. The weekend closures are a classic “how much can you sensibly and efficiently get done when you’ve got a blockade any way”. Station works, east of Stratford, are proceeding painfully slowly. However, passengers at Forest Gate can use the lifts since Monday 4th February 2019. It may be that they were selected for their TV presentational skills, at which we might expect the YouTube/Vblog generation to have an advantage over their older colleagues, and/or that the producers were keen to raise the profile of women in engineering to encourage recruitment. Agreed in the last series they flew everyone’s favourite American over from her then current project in Australia to provide bit of continuity, she was seeing a lot of stuff for the first time during filming! The Northern Line shut down to complete the modernisation of Bank Tube station had been planned to be carried out in 2020. However, additional exploration and archiving of Roman ruins, and the need to divert utilities on around the work site meant the construction timetable had to be amended. which may well be true but, given the Crossrail debacle, one wonders why nothing official is forthcoming. As usual the papers for the next Programme and Investment Committee are completely silent on this – not even mentioning the delay. Naturally they say nothing adverse about the Woolwich Ferry either. PoP… One might even suggest that TfL are fine ones to criticise Crossrail for being over optimistic. Crossrail has certainly pushed a number of Underground projectsbehind as the article describes. Intriguingly though, no link made with Sub-Surface 4LM project, despite joint stations at Paddington and Moorgate, which Crossrail would have relieved. But Crossrail hasn’t delayed 4LM which is what the article is about. Interestingly, there is a link between 4LM and Crossrail delay. If I ever catch up with planned articles I’ll write about it. The Battersea extension also has issues with Apple reportedly extending existing leases and safeguarding alternate sites. The Malaysian developers costs are increasing from £750m in 2012 to at least £1.15bn in 2017, halving expected returns. Most of the 255 apartments in the listed power station would not be completed in time for their “long-stop dates” — after which buyers can choose whether to continue waiting or take a refund. Prices for “prime” London homes have dropped 20 per cent since their 2014 peak, according to estate agent Savills. The late delivery of the project has hurt its reputation and dented confidence among potential buyers. Half of the 1,000 apartments released in the third phase dubbed Electric Boulevard south of the power station were originally due for completion last year are eligible to be relinquished by buyers this year. Buyers were offered incentives including payment holidays and discounts to dissuade them from cancelling their contracts. To some extent, the developers only have themselves to blame. A lot of the delay (and extra cost) was because of the need to redesign the tube station to accommodate yet more extra property units above it. I am not aware of a major delay caused by the construction of the tube extension but am ready to stand corrected. Any delay, if there is any, caused by needing to complete work at Bank first would have been avoided if Battersea tube extension had opened on time (originally slated for December 2019 then sometime in 2020). refinancing three attempts and delayed has been transferred to two Malaysian pension and sovereign funds that are being investigated for irregularities. phase 2 contractor Skanska facing increasing costs were replaced by Mace. Carillion were the contractor on Phase 1. What exactly were the reasons for Crossrail/CrossRail to be cancelled in 1994? It seemed that it was all ready to go and suddenly died a death in the Major government. Wern’t Thatcher and Parkinson suppossed to be right behind it? @MT – the precise reason for its cancellation in 1994 was that it was believed by Ministers that it would screw up rail privatisation, although the Treasury had been gunning for it for years and found the excuse most welcome. You wouldn’t have had networkers, though, but bespoke stock. As for Crossrail 2, no more than a Chelsea-Hackney shaped twinkle in LU’s eye (remember that LRT had had its planning capacity stripped out on renationalisation), and a very vague aspiration on the part of NSE (well behind the construction of the 5th track from Clapham to Surbiton). Graham- I always wondered what the real issue was with Crossrail. I’ve read that the case wasn’t made as per passenger numbers, as Central London employment fell in the 90s, but didn’t understand why that would suddenly cause the government enthusiasm for the project to suddenly stop in its tracks. Also, great clarification about the Chelsea to Hackney Line-always wondered why it just disappeared in the 90s. Whatever became of the “Express Metro” plan though? I also have a copy of the Railway Magazine from 2011 in a 25 year anniversary of Network SouthEast article by Chris Green, showing a picture of a NSE Crossrail train that looked more like a class 168 of sorts. @MT – whilst it was true that passenger numbers fell in the early ’90s.the trend didn’t become apparent till the privatisation die was already cast. When we drew up the strategic plan for developing NSE in 1991/2, the assumption was – as indeed has been the case – that over the long term volumes would continue to rise. TBH, I am not sure how many features of the Networkers were carried over to the class 341s. We got as far as a wooden mock up for the purposes of testing alternative loading strategies, and there was obviously a performance spec. AIR, the mock up (and associated artist’s impressions) looked like networkers, albeit with different door and seating arrangements, but the decisions on such signature networker features as traction packages and suspension/running gear options hadn’t been taken. @Aleks – Thank you. Presumably not an LU scheme. By 1995, professional planning in London had reached a nadir although that didn’t stop crayonistas from having a go or the Treasury from backing “Northern Cross Rail” as a spoiling operation. Interesiting that it was privatisation in the end that scuppered CR. I did read somewhere that there was speculation Tony Marlow, the Tory MP on the May 1994 select committee that killed CR, was told to reject the plan for whatever reason, perhaps privatisation was the answer. Interesting that Christian Wolmar’s book on the history of Crossrail didn’t mention privatisation but focused on the fall in passenger numbers and BAA being up in arms that CR would compete with their prenium Heathrow Express service. Finally, as I’m sure the mods are sick of me deraling threads with constant nostaliga, is there anywere where I could read up the NSE strategic plan? @MT – I think it was Colin Powell who remarked a propos the first Gulf War that the best way to kill a snake was to cut its head off. That was also the Treasury philosophy for the rail industry which had this unwelcome habit of bringing forward plans for developing the system. The stated idea was that forward planning and scheme development was not a public sector activity and OPRAF was deliberately given no strategic planning capability whatsoever and Salmon refused to countenance it. My job, he told me when I was paraded in front of him as a possible director of planning, is finished when I have let the franchises. Nor was NR willing to look ahead – if it didn’t make a cash return, they were not interested; they had already been very badly bitten by WCML Upgrade and weren’t about to repeat the mistake. If pressed, the Treasury said that any future system developments would be paid for by the private sector (sc developers, not franchisees – remember, the first round of franchises was also intended to be the last, as open access operators sprung up). The fall in passenger numbers comforted the Treasury that no further investment would be required. The model was obviously flawed from the outset for reasons we all know, but it did mean that between the abolition of NSE in 1994 and the appearance of the SRA in 2000, there was literally no one looking at the development of the rail system. In that context, Crossrail could do no more than linger on as a ghost – albeit one whose power was sufficient for the treasury to promote “Northern Crossrail” as a spoiler. And of course BAA didn’t like it for the reason you state. By ‘Northern Crossrail” do you mean the absolute insanity of using the circle line for Crossrail, or something else? @Herned – That. When I worked for Sir Alexander Gibb, I was summoned to the CEO’s office and given a “secret” commission to examine Northern Crossrail, with a view to destroying the usual proposal – his very words. It did not require very much work to show that the operating procedures of LU and NR were radically different and that neither would be prepared to compromise. Essentially, NR required LU to present train “XXXX” to its system at the designated time; LU were not prepared to do that because of the flexibility they use in managing the train service in real time. Our report said as much and that was the last anyone heard of that exceptionally crass idea. Those with very long memories will object that mixing BR and LT trains between Aylesbury and HotH worked satisfactorily up to 1960. The late and much lamented Xpress publishing volume dealing with that route shows why it worked then. LT trains were always given precedence; there was no TOPS to be satisfied; the level of service was, compared with what would have been faced on Northern Crossrail, very low. Very interesting Graham, thanks for your insight. Express Metro was a London Underground project – if you put in “Express Metro” to the TfL Corporate Archives catalogue here you’ll find about 33 relevant files including various feasibility studies, track and rolling stock plans etc dating from 1994 and 1995. The 20 year closure period has passed so anyone interested could go and read them. * Destinations mentioned include Stratford via Highbury and Islington, Wimbledon, and Roehampton. *Intriguingly the records are physically kept in Cheshire, probably in the same salt mine where the Crossrail geological core samples are. * “hardly anyone actually wants to go from deepest Berkshire to central Essex”, the sage opines. @Ian J Thank you -suitably corrected – by1994, there was no longer any BR Planning capability and so LU would have had no one to talk to about any interfaces with BR. Whether they approached Railtrack or OPRAF* is unknown at the moment (unless any of my former colleagues who went to those places, was involved). Unlikely, I should think. The scheme sounds like one of the many tunes played on Hackney- Chelsea and would have been treated as such by everyone else. *There is a further question as to what has happened to any archives generated by RT and OPRAF. As I recall, there was a late amendment to the 1993 Act extending the duty to keep archives to successor bodies, but the many changes in status and the cloak of commercial confidentiality will probably have clouded the issue. No of course not – just as the District Line is pointless because hardly anyone wants to go from Richmond to Upminster. Wolmar seems to have been converted to the cause since 1994 though.